Dina Yoffe – a prize-winner of the Schumann Competition in Germany and the Chopin Competition in Poland. Born in Riga, she graduated from the Moscow Conservatory under the tutelage of Vera Gornostaeva. She has performed around the world, with such outstanding orchestras and conductors as the Israel Symphony Orchestra and Zubin Mehta, NHK Orchestra and Neville Marriner, Moscow Philharmonic Orchestra with Valery Gergiev and Dmitry Kitaenko, Tokyo Metropolitan Symphony Orchestra with James De Priest, Kremerata Baltica and Gidon Kremer, Moscow Soloists with Yuri Bashmet and Sinfonia Varsovia under the baton of Jacek Kaspszyk. She has appeared at major festivals in Europe, Japan and the US. She is also artistic director of the ‘Musical Summer’ festival in Malaga. She has performed in such famous concert halls as the Barbican Centre (London), Suntory Hall (Tokyo), Musikverein and Konzerthaus (Vienna), Moscow Conservatory, Salle Pleyel (Paris) and Royal Palace in The Hague (a concert for Queen Beatrice). She has played in chamber music festivals with such renowned musicians as Gidon Kremer, Vadim Repin, Michael Vaiman, Yuri Bashmet and Mario Brunello. 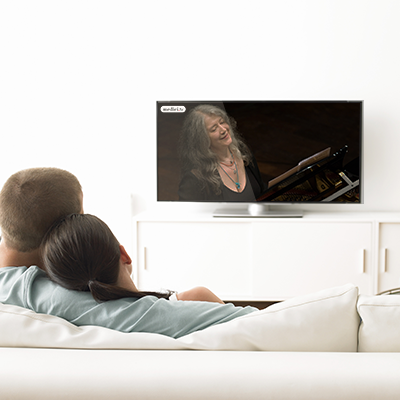 Her concert series with all Chopin’s works was filmed and broadcast by the Japanese radio and television station NHK. She has given masterclasses in London (Royal Academy of Music) and Salzburg (Mozarteum Summer Academy). A former professor of universities in Tel Aviv and Aichi, Japan, she has been a juror of piano competitions in Cleveland, Hamamatsu, Barcelona, and Weimar. She has made numerous radio and television recordings, in solo and chamber repertoire. She has appeared many times in the ‘Chopin and his Europe’ festival. 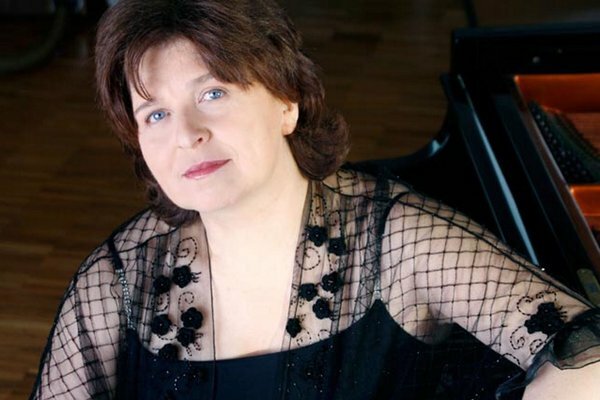 She has also recorded for the Fryderyk Chopin Institute, including on a period Pleyel piano and for two pianos and four hands with Daniel Vaiman.